Because I hate vitamins so much, OK maybe not hate (because hate is a bad word according to my 6 year old)…Because I have an “intensely strong displeasure” for vitamins, you might find it shocking to read this somewhat positive article on probiotics. Our intestines are full of bacteria that help us to break down food products and whose function has an effect on immunity and possibly allergies. These bacteria can be called “probiotic” organisms. Probiotic bacteria can be given as a supplement which can be mixed in with foods, beverages or given as a supplement (similar to a vitamin). Prebiotics are substances which, when ingested, help to increase the number of probiotic bacteria in the colon. Prebiotics are typically small chains of sugars that humans cannot digest or use. They can be ingested in beverages or nutritional supplements and are even added to some formulas. Children who have abnormal immune systems such as ill preterm babies or children with implanted catheters (or other medical devices) should consult with their doctor because infections have occurred as a result of giving probiotics in these groups. Studies have also shown that adding prebiotics to infant formula is safe. 3.What conditions do they work for? Some evidence suggests taking probiotics might prevent cases of infectious diarrhea, particularly in day care centers, but the effect is very small. It would take about seven kids taking the probiotic daily to prevent just one case of diarrhea, thus I don’t recommend use of probiotics to prevent diarrhea. Once diarrhea has started, there’s pretty good evidence that starting probiotics may decrease the time of a child having diarrhea by as much as 40 hours. So it would seem good to provide probiotics at the first sign of infectious diarrhea. The effect was greatest with a probiotic known as Lactobacillus rhamosus GG (LGG). Diarrhea is a common side effect with children who are taking antibiotics. Studies have shown that taking may decrease the child’s risk of developing diarrhea. Once again, the effect is small as it takes seven kids taking the probiotic to prevent one episode of antibiotic associated diarrhea. However, because it only requires the child to take the probiotic during the course of the antibiotic, this seems like a reasonable approach. Treating antibiotic associated diarrhea once it has already started does not appear to be helpful. 4.What conditions might they work for? Studies have been mixed on the use of probiotics for both prevention of and treatment for allergic diseases (including eczema). One of the major problems is that these diseases often are difficult to study because they are difficult to define and assessment for improvement is often subjective. Some early data suggested that probiotics might be helpful for infants with colic. This is also very difficult to study as definitions for colic are wide and varied. It’s hard to even know if colic is a real, definable illness or just a baby that cries a lot. Further information and studies would be necessary in order to fully recommend probiotic use. As we learn more about the normal bacteria that live in our intestines and how variation of the amount and type might contribute to disease, I’m hopeful that we’ll continue to see conditions for which probiotics are safe and effective. Get to know Justin Smith, M.D. 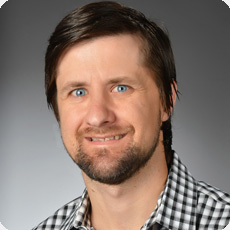 Justin Smith, M.D., is a pediatrician in Trophy Club and the Medical Advisor for Digital Health for Cook Children's in Fort Worth, Texas. He has an active community on both Facebook and Twitter as @TheDocSmitty and writes weekly for Cook Children's checkupnewsroom.com. He believes that strategic use of social media and technology by pediatricians to connect with families can deepen their relationship and provide a new level of convenience for both of their busy lifestyles. Dr. Smith’s innovative pediatric clinic, a pediatric clinic “designed by you,” open now. Click to learn more. To make an appointment, call 817-347-8100.